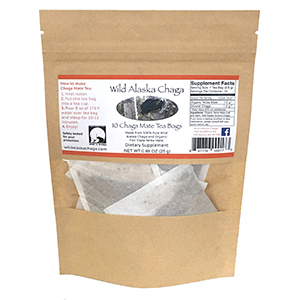 Try our chaga mate tea bags and enjoy a unique tea that combines sustainably harvested fungi and plants from the northern and southern hemispheres! 10 herbal tea bags each containing 1.5 grams organic, fair trade yerba mate and 1.0 gram of chaga. The flavors of chaga and green, un-smoked yerba mate mingle to create an earthy, smooth flavor with slight brightness making a wonderful early morning beverage. 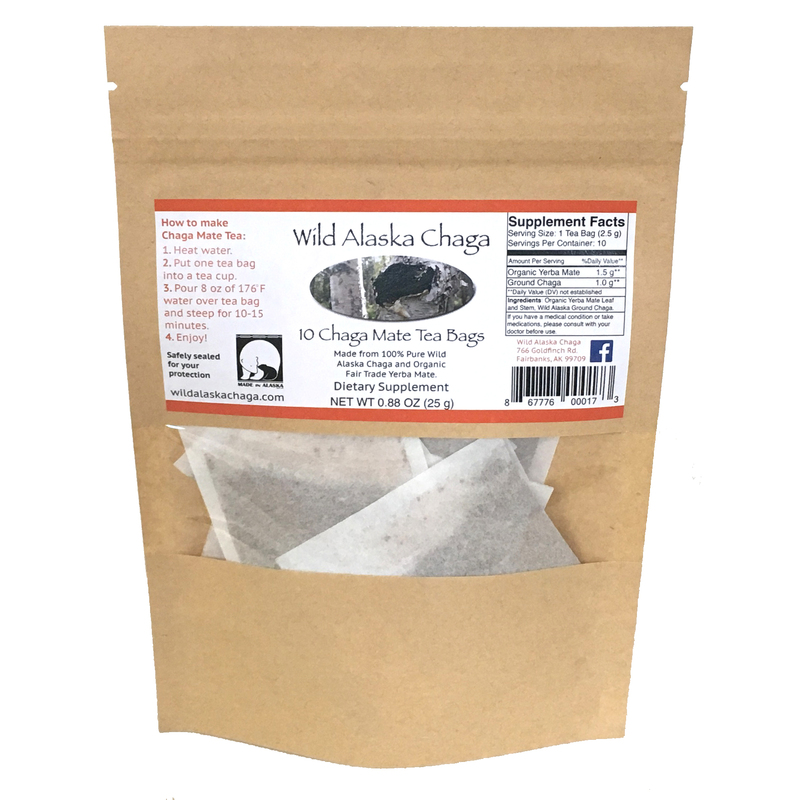 Our chaga mate tea recipe is printed on the label which is pictured below. Our tea bags are packaged in a resealable storage bag to maintain freshness. Sugar or honey can be added to taste although we recommend enjoying them plain. Delivered fast via USPS Priority Mail. Start enjoying your chaga mate tea today!